Great music can be a rare commodity, yet sets the tone for any event. 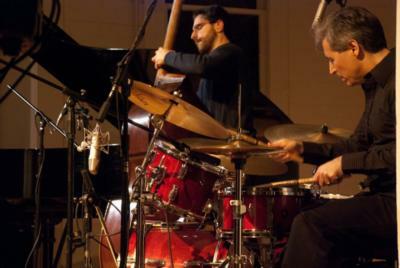 The George Farrell Group performs in the Boston and New York areas as an instrumental jazz trio or quartet. The repertoire is drawn from a wide range of influences- jazz, Latin, R&B and pop. Our experience includes corporate work, concerts, weddings and a two-year engagement performing aboard Odyssey Cruises in Boston. The George Farrell Group is for events needing great music rather than a typical wedding band!